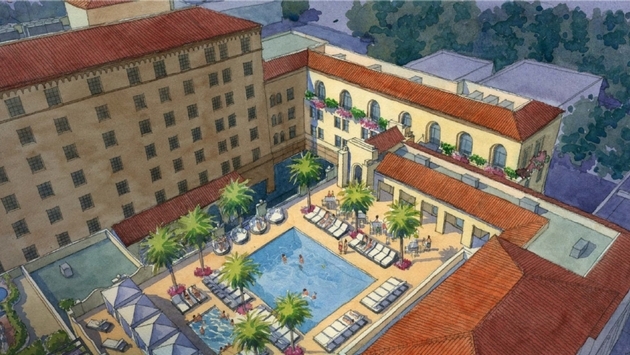 A $60 million renovation aims to thrust one of Pasadena’s most historic hotels back into the spotlight. Hotel Constance, which once offered luxury housing for seniors, will be transformed and renamed DusitD2 Constance Pasadena in September. The hotel, which dates back to 1926, will feature trademark touches from Thailand-based operator Dusit International geared toward younger generations such as millennials. These touches include free high-speed Wi-Fi and a contemporary design courtesy of Hong Kong interior designer Joey Ho. Guests will also be able to sync up their mobile devices to their in-room TVs and broadcast services from their accounts. In addition, all rooms will even include iPads for guests so they can control lighting, request hotel services, order items and/or make dinner reservations. Most of the rooms and suites will range from 230 square feet to 380 square feet, but Ho—who has experience working with smaller spaces in crowded Hong Kong—aims to make the most of the available space, and offer the most to guests. The 1,100-square-foot Constance Suite will be the exception, featuring a deep soak tub and two outdoor terraces with lounge seating offering sweeping views of the San Gabriel Mountains and the Pasadena skyline. Ho is also designing a stylish and cutting-edge bar called d’bar for the hotel. The bar will specialize sport hand-crafted cocktails, a varied wine list, craft beers and small bites and plates. As far as dining goes, DusitD2 Constance Pasadena’s D2 restaurant will serve up modern cuisine with seasonal ingredients sourced from local farmers’ markets. Communal tables will be centerpieces for gatherings within the establishment. 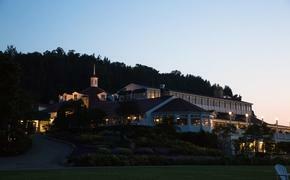 Outdoor dining will be available in 2015. Beyond that, a rooftop pool and bar, fitness center and meeting space will be unveiled in the second stage of the renovation. New shops and restaurants will also be opened up on Colorado Boulevard courtesy of developer Singpoli. Everything is scheduled to be completed by 2016. The historic hotel’s renovation reflects the growth in tourism for Pasadena over the last few years. In 2011, visitor expenditures generated $475.4 million in revenue for the city, a 6 percent increase from 2010 and a 12.6 percent increase from 2008, according to a 2013 study via the Pasadena Convention & Visitors Bureau. For more information, visit www.dusit.com.